Tomorrow is my husband's and mine 21st wedding anniversary! I can't believe it's been 21 years since we tied the knot, and started our journey through the muddy seas of holy matrimony. I figured I should get my husband something, to celebrate this milestone. But what?! He's already got all the Star Trek dvd boxes ánd the Deep Space Nine series. Whát would he really like? Then suddenly I knew the answer! It was obvious really. I was going to make him an indecent proposal! Because after 21 years of marriage, and 5 kids, I often play dead in the bedroom. 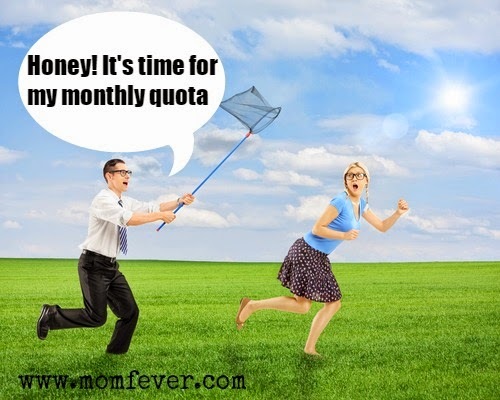 But, since marriage is all about compromise we've come to an agreement about a monthly quota. However I know he wouldn't mind going óver the quota. So I waited in my little office until he walked by. And when he did, I quickly whispered: 'Psssst! Come on in here for a minute,' and I looked around furtively to make sure there were no kids within earshot. My husband looked a bit alarmed, by my furtive looks. Yet hopeful. 'How would you like to do the horizontal mambo tonight. It'll be my wedding present to you!' I whispered. 'No, of course not!' I said, because I really dó like my rest. That was nice, for both of you!! Happy belated anniversary!! !